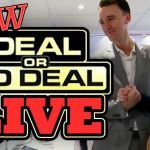 It's been 3 months since the final week of November, where we introduced you to the likes of Riverico, CasinoLand, OscarCasino, Creditme7 and CasinoRockstar in our Up and Coming-article. A lot of things have happened since then, and with a new year comes new casino streamers. What better way to introduce them than a video compilation of them winning big? 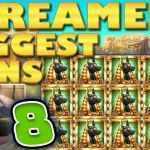 Welcome to the Up and Coming Casino Streamers pt. II! 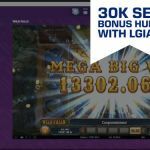 TakeTheHit is playing with a €0.60 stake on Primal Megaways by Blueprint Gaming, and we join in right when he triggers 10 extra spins in the free spin mode, bringing his total amount of bonus spins to 25. The winning balance of €4.44 isn't something to write home about, yet. About 1 minute after TakeTheHit tells one of his viewers "enjoy the food, foxyslots" karma obviously takes note of the polite comment from the streamer, and decides to have a chat with Lady Luck. On his 21st spin TakeTheHit goes "Come on guys, we need one good hit”. 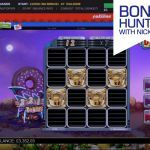 Ask and you shall receive, in the form of a Mammoth x768 Big Win! The clip of CasinoJ playing Blueprint Gaming’s Vampires on a £2.50 stake simply starts as he vapes and enters the bonus round with 15 free spins. Booom - 5 of a kind, on the second spin! The streamer bobs his head to the rhythm of the ding-ding-ding sounds of the game but it doesn’t really look like he realized how big of a win that was exactly, until the moment the x1.000 reveals itself. Finnish people don’t get to see much daylight during winter, so we tune in while Juusbaaa - a brand new CG Streamer - is sitting in his dark bedroom playing around with the Play’N GO title Reactoonz. He rants a little about aliens, their color and whatnot while playing with a €0.60 stake. Little does he know that he’s about to see daylight again in the form of a €400.29 win, which equals a x677 big win. His reaction to it is not only surprisingly genuine, but straight up priceless as his jaw literally drops to his desk. Half German. Half Spanish. Studies law and loves fitness. Yeah, and he’s also a new name on the CasinoGrounds Roster. Say hi to Jamjarboy everyone! The game of choice in this clip is NetEnt’s Vikings, where he triggers the bonus feature “Raid Spins” on a €0.20 EINSATZ (German is so dramatic). Haha, yeah dude - you didn’t realize right there and then but Björn is known to deliver the goods whatever screen he’s on. This time in the form of a x752 win. All good things come in threes right? 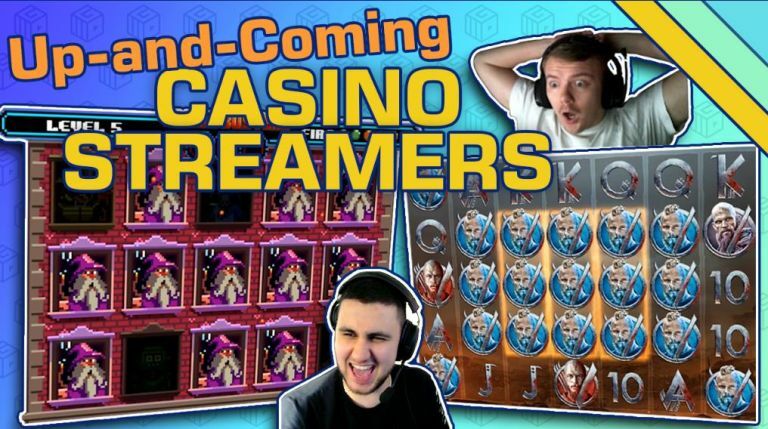 JJcasino is the third name to join the CasinoGrounds roster in February, consisting of the duo Jules and Cem; two streamers who made their passion for streaming their main occupation. Also playing with an EINSATZ of €2, Jammin’ Jars (which was voted the best video slot of 2018 by the CasinoGrounds community) are bouncing around on the screen. That Push Gaming title decides to RAINBOW JJCasino's screen and toss in a few strawberries for a huge connect. A Jammin' Jars strawberry dropping not dropping not only a €1.200 win, but his jaw as well. It takes mucho bananas to make people go bananas like he does in that clip, and who can blame him? No one. That's a legit and awesome x600 win right there. We’re not done yet … Say hi to Spajek, the 4th streamer to join the CasinoGrounds ranks since February. Playing Flame Buster on a €0.50 stake, he’s joking around and having fun on the chat whilst climbing all the way to level 5. As the bonus game and the total amount won continues to climb, Spajek steps out with a burning sensation of a x906 win which equals roughly €900 bananas! The Wild Line of NetEnt’s blockbuster Dead or Alive is as legendary as the holy grail itself. To give you an idea how how powerful it really is, just take a look the Finnish streamer GGMadMan as he gets it on a €0.90 stake in the bonus round. A couple of spins later, after laughing and grinning of sheer joy - the tears. Oh the tears of finally getting that wild line is as real as it gets, because such a lucky achievement is one that pays. He didn't drop his jaw, but here's 8 times DOA did. Seconds later, the screen is covered in “Onneksi Olkoon Voitit 19851 kolikkoa” whatever that means. I just know that that number equals a €1.985.10 win which in turn is a x2.206!